Ofer Prison, where many terrorists are held, to receive renovated kitchen despite Minister Erdan's directive not to improve conditions. Two months ago, Internal Security Minister Gilad Erdan set up a committee to recommend ways to lower the posh incarceration conditions of security prisoners to the minimum required by law. Erdan said at the time that "anyone who plans to carry out a terror attack for religious or nationalistic reasons must know - he will pay for it with his life or he will spend many years in prison." 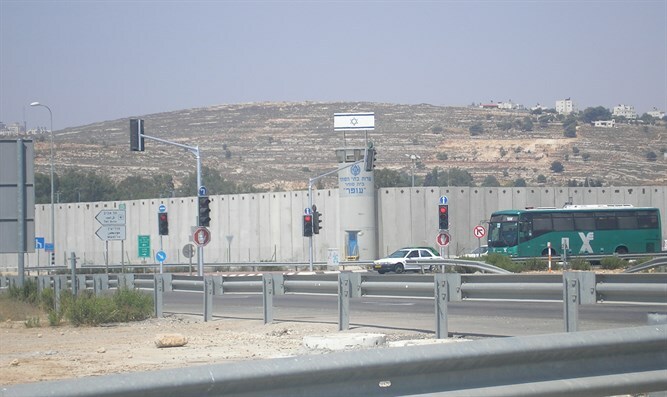 However, Arutz Sheva has learned that the terrorists imprisoned in Ofer Prison are about to receive an upgrade to the conditions that they are currently enjoying. The kitchen of the security prisoners at Ofer Prison is now being upgraded to the price of hundreds of thousands of shekels. It should be noted that unlike other prisons in Israel in Ofer Prison where terrorists who maimed and murdered Jews are being held, they are able to cook joint meals, thus providing prisoners at with richer food than other prisons. In addition, the terrorists continue to receive the possibility of buying premium food products in the canteen. The money for these products comes from the Palestinian Authority, which supplies a monthly grant to every terrorist who wounds or murders Israelis. The Israel Prison Service did not respond to enquiries.